Billboard's #1 single on March 23, 1994? 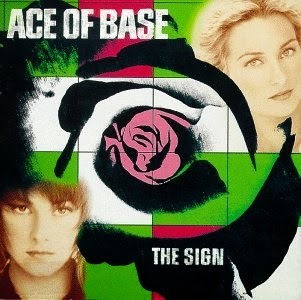 "The Sign" by Ace of Base. The Swedish group's album of the same name also hit #1 a week later. As much of a fan as I am of the movie Pitch Perfect (and it's music), it really bugs me that the film decided to use Ace of Base's 1994 smash as the song to make boring and overplayed. The first time the Bellas sang "The Sign" I was pumped, but by the third it was totally ruined. And if you haven't seen Pitch Perfect and have no idea what I'm talking about, that's your own fault. Go watch it; no matter who you are I can say with extreme confidence that I'm 95% percent sure you'll enjoy it if given a chance. Insane that it's 20 years ago. 55 games with Pete Myers as the starting 2 guard. Wild. People forget there was a rumor about them getting Hornacek at the trade deadline. I really think that would've gotten them over the top. Wonder how a Bulls-Rockets final could've played out, would've been A LOT better than the god-awful-to-watch Knicks.